Apple announced the new Nanos some time ago. Comes in many colours too. They have said it is the thinnest Nano yet, measuring 0.24″. 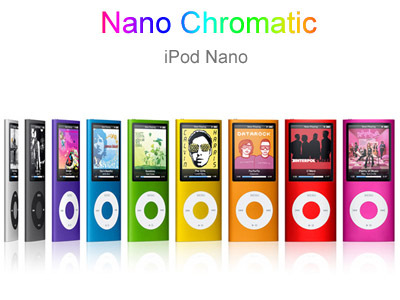 The new Nanos has new features added, anyone with a 1st Gen Nano would be getting this new music device. Comes in 8GB and 16GB. 8GB for £109 ($149) and the 16GB is £149 ($199), £40 ($50) difference. If you are aiming for the 8GB, wait a lil’ while longer and save an extra £40 ($50) to get something that’s worth the price. New oval design, variety of colours and larger screen from the 1st Gen Nano. The screen is also oval, round etc. The Genius, new feature added. It creates a Genius playlist by putting tracks/song that goes together. Very fast and easy. Tilt it side ways or back to change to album mode or view photos, movies etc. Something that appeared on the iPhone and iPod Touch. A new “contour” design for the iPod Touch is out, also with a bunch of new features. I took out my iPod for a clean and its been a while since I did it. The rubber protector gave the surface of the Nano a real grimmy … dirt? Anyways, with a cloth or those that wipe your glasses with, I clean it up. In the end, my Nano had a few scratches here and there. I had it like 3 years now. 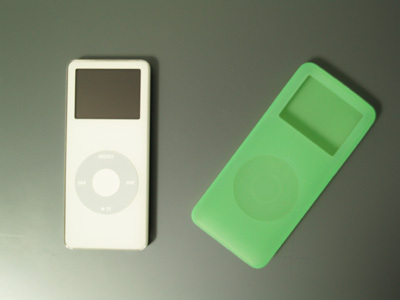 When I have enough extra saved money, I will update my 1st Gen Nano with the new Nano. Either orange or blue, which one should I go for?